Choreographer and Master of Dance Studies Sarah Foster-Sproull on reimagining dance making; placing the dancer as a consumer within the service-driven, consumer-oriented micro-economy of a choreographic process. As an artist, I believe it is essential to consider the way I make work in order to ensure that my dance making methodologies remain relevant and dynamic. I have discovered that I am interested in challenging my creative process in ways that reimagine notions of leadership. Recently I have been considering the interactions between myself as a choreographer, and my peers as dancers. I have started to think about these connections as transactions that are cyclic by nature – between performers, the audience, the ideas of the work, and myself. These are significant ‘transactions’, because dancers are the agents through whom an audience develops a relationship to a work’s themes, and because dancers are the most important part of any work that I make. Another significant component of my creative process is the fiscal structure that surrounds it, so in seeking to reconcile art with commerce I have found myself revisioning the choreographic process through an economic lens. I have at times felt overwhelmed by economic frameworks within my everyday life and repurposing or developing new meanings around these structures has led me to think about dance making differently. I propose an experimental vision of dance making as a service-driven, consumer-oriented ‘embodied’ micro-economy, where the dancer is the consumer. While I know this sounds quite dry, it has been quite liberating, and it has had a remarkable impact on the way I approach my leadership role within a dance making process. IF A TRADITIONAL MICRO-ECONOMY EXAMINES THE TRANSACTIONS BETWEEN INDIVIDUAL AND INDUSTRY, A DANCE MAKING MICRO-ECONOMY APPLIES THE SAME LENS TO CREATIVE TRANSACTIONS. The dancer is an individual, and the choreographer, dance group, or broader dance community the industry. Within a collaborative choreographic process, like those I facilitate for Foster Group Dance, dancers engage with the themes of the dance work and devise their own movement. 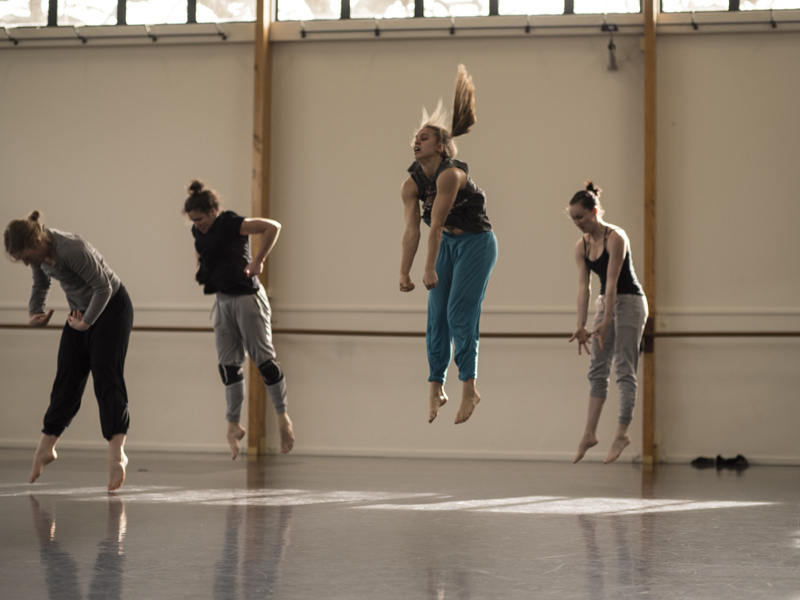 In the current context of Western concert dance in New Zealand, work is often built exclusively from the creative contributions of the performers. Looking at this employment relationship, it is not hard to recognise that dancers are providing a creative ‘service’ to choreographers. But what if we thought about it in the opposite direction? Service-driven economies are vital to consumers because a service has the ability to transfer skills, experiences, and knowledge to the consumer. Dance making does not necessarily deal with a tangible object or artefact, but it does exchange knowledge, support, assistance, expertise, ideas, and opportunities. A choreographic process could potentially be viewed as a service transaction provided by a choreographer to a dancer. Focusing on the nonfiscal components of a service exchange helps to identify choreographic ‘transactions’ as experiential, embodied, and consumer-driven events that engage the dancer and dance maker in vital creative exchange. This perspective sits contrary to literature that has noted an historical privileging of the choreographer’s experience of dance making. Because a consumer-oriented economy is one that centres its practices on the consumer, then a consumer-driven economy may be impacted by consumer needs and priorities, and places increasing ‘power’ in the consumer’s hand. Within modern society a consumer-driven economy is affected by consumer demand and as such economic theory recognises that this demand impacts service delivery. These propositions are significant because they align with 21st century approaches to creativity, agency, and autonomy, help disentangle traditional power structures, encourage new work and new ways of working to evolve, and stimulate choreographers to provide a ‘quality service’. Personally, this perspective has invited me to consider the design and components of my creative process, and how I might align this to the needs of the dancers I wish to work alongside. Specifically – how might I provide an optimal choreographic service? In this way, I view a dancer as a consumer of my choreographic process. And because their contribution to the work I facilitate is undeniably valuable to me, it is imperative that I consider their needs and how I might best attend to them. 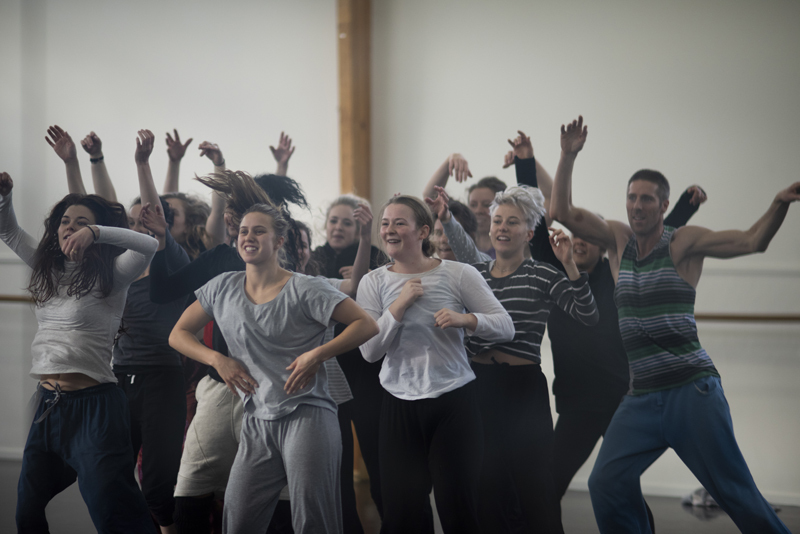 Dance academic Sarah Knox has identified the notion of a dancer-centred paradigm, which builds upon a personcentred approach to leadership that is socially-conscious by nature. Placing the dancer at the centre of a dance making relationship and acknowledging their creative contributions through attribution (both formally and informally), the dancer is recognised as an essential part of the dance making process. It may also encourage a dancers’ sense of self-actualisation, decision-making, and agency within the dance making experience, which might well lead to greater depth and dexterity in their work. ULTIMATELY, THIS APPROACH HELPS TO DECONSTRUCT THE NOTION OF A ‘CHOREOGRAPHER AS SOLE AUTHOR’ AND PROPOSES A MORE COLLABORATIVE CREATIVE EFFORT. In the creative economies of the 21st century, understanding how group interactions can be organised into collaborative creative endeavours is a significant matter, with implications for economic, social, political, and cultural growth. A business that delivers a quality service generates consumer engagement. Success for a producer within a service economy may involve three key considerations: the quality of service offered creates value; a service provider’s ability to ‘deliver’ a service increases business quality; engagement with social media matrixes increases service consumption. From a personal perspective, I have found thinking about my creative process in this way has challenged patriarchal structures that have often surrounded my creative processes. 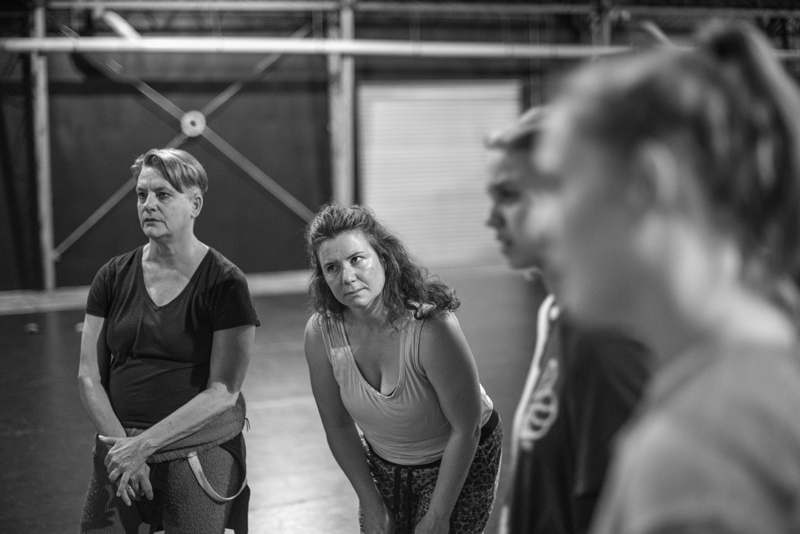 It has provided opportunity for many voices to be heard around the themes of the choreography being explored. Reimagining dance making to focus on the service the choreographer provides to the dancers has enabled opportunities for dancer self-actualisation and autonomy to occur within my studio practice. It has also developed a sense of collective investment with the dance making themes, and enriched the collegial and creative working process. If we (as art makers) happen to indulge this re-visioning of dance as an embodied economy, then we might be inspired to investigate our choreographic working processes and how they attend to the needs of the people within them. Because consumers have diverse requirements, and one leadership method is not easily applied to all choreographic contexts, then some responsibility lies with dance makers to be self-reflexive and responsive to their team. As choreographers, we must disrupt assumptions about how things might traditionally work, because we are making work in a dynamic and shifting environment, and the people we work with are important. Viewing dance making within an economic paradigm has the potential to reflect societal focuses, and contribute to the critical discourse around creativity and innovation within consumer-driven economies. Original generation time 1.2589 seconds.